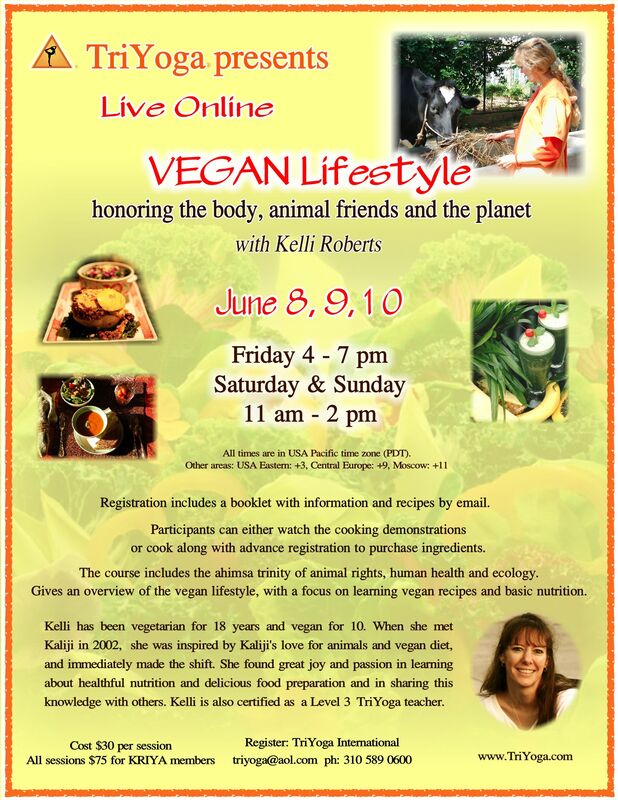 Live Online Vegan Lifestyle Workshop! I’m sending this to TriYoga Chicago on Facebook and to all my Chicago students…. Thanks, Maretta! It will be a fun weekend. I will make it available to purchase the recording afterwards, so I’ll send info out about that when it’s ready. That way you can still get the info even though you can’t be there. I’ll also be having more in the future, covering different information each time.